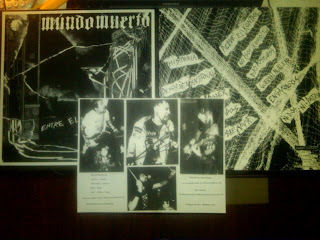 MUNDO MUERTO will have 50 complete copies as of next week. We will also be finishing up the screening of 50 additional covers for 50 additional test press version that will be available from the band at any live show until they are all gone. If you are a label or distro please contact Charged//Distorted Records or Konton Crasher Records for any wholesale questions. Thank you for taking the time to read this blog. Found this the other day....remember these? ?